Starring Lon Chaney, the original film version of the celebrated Gaston Leroux story about a mysterious phantom who haunts the chambers and catacombs deep beneath the Paris Opera House, which has inspired countless remakes and adaptations over the years. Digitally restored two-disc collection includes both the 1929 theatrical version, restored from 35mm archival elements, and the original 1925 theatrical cut, packed with bonus features including choice of alternate music scores and lengthy excerpts of the 1930 sound re-issue. Veteran Air Force pilot Tom Egan (Ethan Hawke) yearns to get back into the cockpit of a plane, but now he launches drone strikes from an air-conditioned box in the Las Vegas desert. When he starts taking orders directly from the CIA, the stakes are raised and Egan's nerves--and his relationship with his wife (January Jones) --begin to unravel. The original film version of Ben Hecht and Charles MacArthur's hit satire of the newspaper business comes newly mastered in HD from 35mm elements preserved by the Library of Congress, and packed with special features including a short documentary, audio commentary, and radio adaptations. Based on the hit 1928 Broadway play, and twice remade, this fast-paced farce was the prototype for the classic screwball comedies to follow. Written and directed by Jemaine Clement and Taika Waititi, the film is a smart and witty send-up that follows an endearingly unhip quartet of vampires. Winner of the Toronto International Film Festival Midnight Madness People's Choice Award and an Official Selection at the Sundance FiAlm Festival, as well as, the Berlin International Film Festival. Director Daniel Leconte followed in real time the subsequent court proceedings brought against the Charlie Hebdo's editor, and his film presents a provocative and thoughtful look at questions surrounding freedom of the press and the challenges to democracy posed by fundamentalism. The film screened at the Cannes Film Festival in 2008, where it was nominated for the Golden Camera award. Armchair adventurers can embark on a breath-taking, spiritual journey through space - which will both entertain and calm you - with the powerful, meditative, audio-visual experience. Enjoy the peaceful, awe-inspiring splendor of space while meditating on the vastness, significance and mysteries of the universe - with imagery from the actual Hubble space telescope. Your spirit will soar directly into magnificent star clusters, nebulas and galaxies. Directed by Philippe de Broca and arriving in the wake of the newly popular James Bond films, these were a riotous cut above the many 007 spoofs that spilled forth worldwide. In the first, set against the beauty of Brazil, Jean Paul Belmondo and Francoise Dorleac are in hot pursuit of a stolen Amazonian statuette, while others pursue them for the same treasure. In the second, Belmondo plays a bored and recently bankrupted millionaire who is convinced to allow someone to murder him so that he can leave the insurance money in his will. He's fine with the plan until he meets a stunning stripper (Ursula Andress). The latest masterwork from the acclaimed French New Wave filmmaker, Jean-Luc Godard, pushing the boundaries of what has previously been accomplished with the 3D format, taking his filmmaking into exciting new territory and demonstrating his limitless imagination for the medium's possibilities. Available in a two-disc Blu-ray set featuring both the 3D and 2D versions, and a single-disc DVD edition featuring the 2D version. Global hip-hop superstar, actor and filmmaker RZA reprises his role as the enigmatic blacksmith Thaddeus in this explosive sequel to the 2012 action-adventure The Man with the Iron Fists. Inspired by classic kung-fu films, The Man with the Iron Fists 2 Blu-ray and DVD are packed with exciting bonus material including a behind-the-scenes featurette, deleted scenes and commentary. The incredible story of how Dr. Martin Luther King Jr. led the epic march from Selma to Montgomery to secure equal voting rights in an event that forever altered history. 2015 marks the 50th anniversary of the legendary march. David Oyelowo is Dr. King and leads an outstanding ensemble cast including Oprah Winfrey, Tom Wilkinson, Cuba Gooding, Jr., Tim Roth, Common5, Giovanni Ribisi, Carmen Ejogo, and Lorraine Toussaint. Inspired by writer/director Damien Chazelle, follow the journey of a young jazz musician with a passion for drumming and dreams of greatness. Andrew Neiman, played by rising star Miles Teller, is a determined 19-year-old student. His rigid music teacher, Terence Fletcher, played by J.K. Simmons, sees Andrew's raw talent, but will accept nothing less than perfection. A documentary by Jyllian Gunther that chronicles the first year of an inner-city charter school as the challenges of educating students in an economically-challenged system becomes daunting. An official selection at numerous film festivals, including SXSW, the Hamptons International Film Festival, SF Doc Film Festival, Urban World International Film Festival, and the African Diaspora International Film Festival. The film, featuring Jackie Cooper and musicians like Benny Goodman and Harry James in their prime, has been digitally remastered. The romance between a young trumpeter and a New Orleans-born piano player serves as the narrative plot line. But the core of the film is its celebratory history of 'syncopated' music - jazz - tracing it from the turn-of-the-century sounds of ragtime, through Dixieland, the blues, Chicago jazz and the swing era. A singer's journey of self-discovery through the city, and the characters and experiences he encounters along the way. This tale is steeped in folklore, surrealism, and music, starring and featuring a score by the experimental blues and folk recording artist Willis Earl Beal. Professor Henry Louis Gates, the Alphonse Fletcher University Professor at Harvard University and director of the Hutchins Center for African and African American Research, continues his journey into the past to illuminate the familial histories of 29 of today's most recognizable names in sports, music, film, television, theatre, and literature. 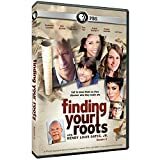 Each episode takes viewers on a journey through layers of ancestral history, uncovering familial secrets and sharing life-altering discoveries that ultimately reveal an intimate bond that links each individual's story together. From director Robert Altman comes an uproarious, high-spirited look at 'Buffalo Bill' Cody, the legendary Western adventurer. With a fine cast that includes Paul Newman, Harvey Keitel, Burt Lancaster, Joel Grey and Geraldine Chaplin in a hilarious yet poignant comedy that shows the Old West as you've never seen it before!